"We estimate that by using Iron Speed Designer, we saved around six to seven weeks of development time, which equates to a cost savings of between $18,000 - $20,000." LightSpeed IT Solutions works on numerous e-commerce projects, including validating and optimizing websites for search engines. To do this, we developed the Multi-site Content Management System (Multi-site CMS). Some of our customers have more than one website related to their business. When we provide a web development package to our customers, we also include the Content Management System (CMS) so they can make changes to website content themselves. This reduces their dependence on our availability. Although we developed Multi-site CMS for internal use by LightSpeed staff to manage our clients' websites (we hired a part-time person), our clients also reap its benefits for their businesses. The user-interface is simple and requires minimal training. Many small and medium-sized businesses have websites. However, we often find that these businesses do not have the resources or knowledge to keep their websites up-to-date. As a result, their websites do not attract visitors and lose ranking placement. This gives our clients the impression that their websites or e-commerce stores are not helping their business. Figure 1: Example of content driven website. Figure 2: Content and layout are automatically updated by CMS. To address this problem, we started offering our customers a service to completely manage their website, not merely develop and host. To efficiently manage multiple websites with the least amount of resources, we developed the Multi-site Content Management System (Multi-site CMS). This application allows us to make changes to multiple websites from one web application. When authorized users log into the application, they are presented with a list of websites they may wish to change. Users may select one or more websites by clicking a checkbox and then proceed to sections (News, Testimonials, Specials etc.) they wish to modify. They are then presented with a screen to enter new or edit existing content in the selected section. 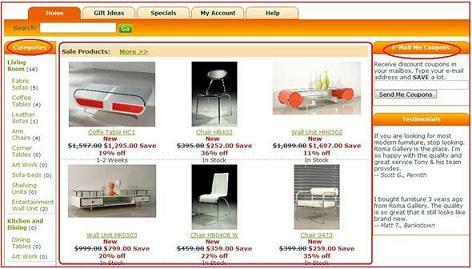 Depending on type of section the users select to change, a different web UI is presented. 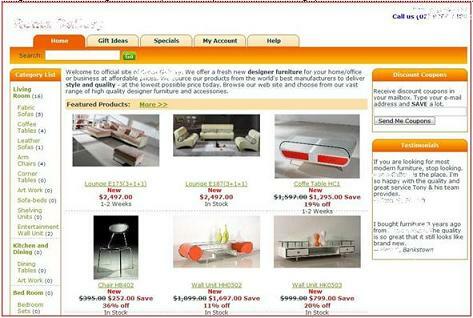 This is achieved by creating user controls and placing them on the webpage dynamically. Once users finish their updates, they can preview the changes and the list of websites affected by the changes. All the changes to website are logged into the database and can be audited. Multi-site CMS was a brand new application. However, we had the challenge of integrating it with an open source content management system. The application uses one Microsoft SQL Server database to keep track of changes made from the application. However, when users publish changes, it affects multiple databases, as each web site has its own database. The Multi-site CMS application uses 18 database tables and has seven different views. The largest database table is the SectionContent table, which has around 2,000 records. Although this is not a huge number, the complexity arises from the fact that most content is rich (HTML, images) and each change needs to update multiple databases. The web application contains 20 web pages. Rather than create a multiple pages for each table, we created many user controls (.ascx). Then we were able create each user control in multiple pages and achieve code reuse. Iron Speed Designer's ability to create multiple user controls really helped us. Figure 3: Creating user controls(.ascx) allowed us to reuse them on multiple pages. Only two users will be utilizing this application. However, these two users can accomplish the work of approximately 18 to 20 individuals by using the application. We estimate that between 180 and 200 transactions cycle through the application per month. It took us three weeks to implement the Multi-site CMS project, using a team of one web developer using Iron Speed Designer, and one database developer. The Iron Speed Designer portion of the project took one week to complete. Upload file attachment to database. Filter content in dropdown list. It took us approximately six to eight hours to write the code customizations. We did use third-party components, including Microsoft Ajax Toolkit controls and FCKEditor to customize user interface (UI). We made page customizations in many places, where we placed user controls and then plugged them into specific pages. This allowed us to reuse lot of code. We used a standard design theme in Iron Speed Designer. While we did create an application-specific design theme, we modified CSS style-sheets to improve the look and feel of the application. We estimate that by using Iron Speed Designer, we saved around six to seven weeks of development time, which equates to a cost savings of between $18,000 and $20,000. We could have done the project without Iron Speed Designer if we had to, but it would have taken us approximately ten more weeks, and the cost/benefit ratio would have been much higher. We do have plans to extend the application in the future. We are currently collecting feedback from our clients about how the Multi-site Content Management System has simplified doing business online. We plan to incorporate any suggestions (e. g. workflow for content approval) that suit the majority of our clients. As more clients use our services to manage their websites, we will need to hire more personnel to accommodate this growth. Nilesh has BS in Electronics from Karnataka University and completed a Diploma in Advanced Computing from Center for Development of Advanced Computing. He is certified in MCP, MCAD for .Net MCSD for .Net and Sun Certified Java Programmer. Nilesh worked as a software consultant with several Fortune 500 companies as well as with start-up companies. This gave him a broad range of experience in various industries including manufacturing, pharmaceutical, financial and banking, software product development and management consulting. Nilesh excels in assessing his clients' needs in order to provide comprehensive solutions. Nilesh provides quick and innovative business solutions, not just software programs, through his firm Lightspeed Solutions.